*Get a baseline of your food intake…look quality and quantity straight in the face. Eating too low and too much manufactured, pseudo food and your body will revolt! 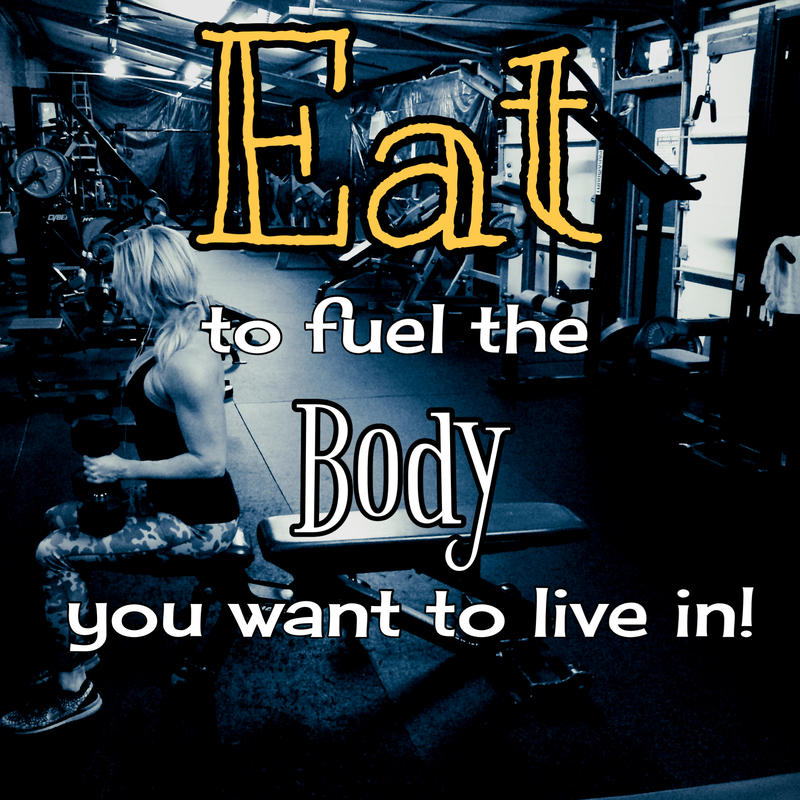 “The above is where I suggest we try to hit (the carbs, fats, and proteins I suggested to her). We cannot be in a continual deficit, so I ‘d like to see a little more food in you slowly over time. Your BMR (per her body stats) is in the range of 1365-1427, which means this is the minimal daily calorie intake needed simply to beat your heart and function your organs just to sit and look at a wall all day (but who does that?!). So when we factor in activity and training and teaching and kids and life, we need more. Now to lose in our intentional seasons of a “cut”, we want to be in a deficit from our maintenance, so that is how we create it with lower food and higher cardio when we want to use that as a tool, but not ALL year round! What will happen if this goes on too long is muscle loss, low energy and raised cortisol, which is where folks get skinny fat and look fluffy and then they get frustrated and mad! So what happens when one is upset? They do MORE and eat LESS, all while furthering the issue. I see it happen all the time and have many clients we are trying to reset from this exact issue that happened before they came to me. The hormonal aspect to our bodies (adrenals, cortisol, insulin, leptin) is not easily measured and there are no Fit Bits or machines to monitor that on a daily basis, but in fact hormone balance really is the bigger, more powerful issue long term. And it compounds slowly in either direction over time…when we don’t even notice it. So we have to stay mindful and proactive as part of the big picture.